Free beads, jewelry making tutorials, information on running a jewelry business and on the art of jewelry making. We're giving away a $200 gift certificate to a newsletter subscriber. The selection of the winner will be a random drawing performed on August 31st of every year of all the people subscribed to our newsletter on that date. The winner will be announced in the newsletter and has one week from the date their name is announced to contact us. By signing up for the newsletter to enter this promotion you have read and agree to the rules governing this promotion at the bottom of this page. 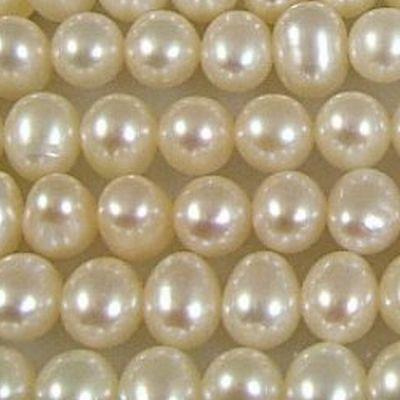 There is no purchase necessary.You will receive a newsletter every week with specials, new beads, and articles relevant to the jewelry making trade. 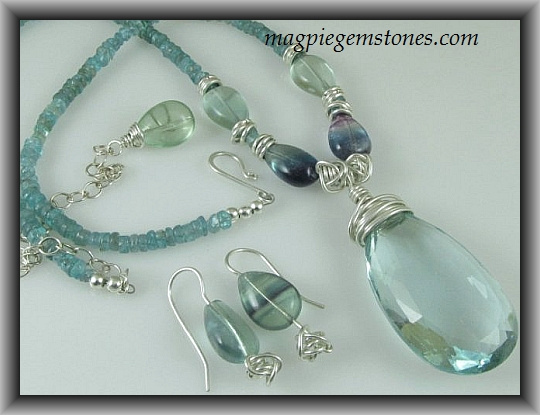 Magpie Gemstones will never give away or sell your email address! You must be signed up for the weekly newsletter to be eligible. The small print: The prize is valid for one (1) year. You will receive a code good for $200 worth of purchases. You must buy $200.01 worth of beads so that your PayPal or credit card is charged a minimum of 1 cent for the transaction to go through. You are free to buy as much as you like but the amount must reach $200.01. The penny will be refunded in your package. It will be your lucky penny, but if you win you already have all the luck! Thanks for signing up! We have a Facebook group, Jewelry Makers and Bead Lovers, to help with every aspect of jewelry making and selling. Come join us, it is a big and helpful community! There are lots of Free tutorials on everything from jewelry making, tools, choosing wire, gemstone identification and more. We also have a Magpie News Group on Facebook, come hang out and find out about promotions, de-stash auctions and see all the great orders heading out. Lastly we have a group for my jewelry if you are interested in seeing what Cesilia, Garnet and I are up to. Fantastic articles are written by professional jewelry designers. Everything from selling jewelry, making jewelry, care of metals and much more. Do you ever have questions about how to; price your jewelry, sell it, make it, generate more ideas, sell it online? You have come to the right place, we have a library of jewelry making information available right here and more articles and tutorials being added all the time. With 20 years experience making and selling jewelry and with a writer who is not only professional but a stickler on good solid research you have discovered a wealth of information. Just use the "Resources" link at the top or bottom of this page to get started. Once a year (without warning) we give away a necklace made by Szarka as a way of saying thanks. Once the giveaway is announced every purchase made (or letter sent to us) is eligible to win. The winner is announced in the newsletter, sign up box at the top of the page. Be sure to read the fine print on the rules below. There are a number of great promotions advertised only on Facebook and in our Newsletter. We give away beads and have Facebook only time sensitive offers. These promotions are in no way sponsored, endorsed, administered by, or associated with Facebook. Once a week, sometimes more often, sometimes less we offer a weekly great deal on exceptionally priced beads and gemstones on our SUPER SALE page. They often sell out fast so we only offer one per client. They change without notice so get yours while they are here. We announce them in the Weekly Newsletter on Saturday so be sure to sign up so you never miss one! Free shipping at $39 in the USA. 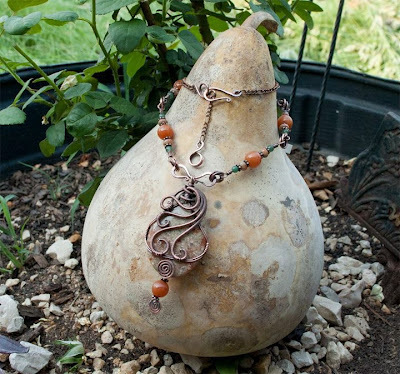 One thing we LOVE doing is showing off our clients' work using Magpie Gemstones. You get a link to your site, we get to show off the beauties in action. Many clients have said they have sold their jewelry when we publish it. Just send me a link to your shop and a link to your jewelry, or a photo to ssszarka@gmail.com. Want to see the " Clients' Art Gallery"? This last one is for others who want to promote. Contact us and if you have a large fan base and can get us some great exposure we will donate gems or certificates to you to giveaway. Contact us and we will talk! Not open to residents of Quebec Canada, persons under 18 years of age, residents of countries that it is illegal for Americans to do business with nor any relations of employees or owners of Turquoise Magpie. No purchase necessary, read the rules above or on the actual promotion you are interested in. Turquoise Magpie and its employees are not responsible for any technical difficulties or acts of God that may influence the contest but we will do our best to mitigate them. For more information on this see below. Turquoise Magpie is not responsible for any problems with your entry, including technical failures related to computer, telephone, cable, and unavailable network or server connections, or other failures related to hardware, software or virus, or incomplete, late or misdirected entries. Again more below in the super fine print. Turquoise Magpie reserves the right to cancel, terminate or modify the promotion if it cannot be operated, conducted or completed as planned, for any reason. 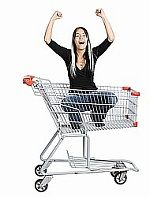 Prizes listed may be substituted for other first prizes of equal value, based on availability. In case of a dispute as to the identity of an entrant using the Internet, the authorized account holder of the email address used to enter the Promotion at the time of entry will be considered the entrant. All promotions announced on Facebook or Twitter are in no way affiliated with those websites and by participating you understand that the promotion is in no way sponsored, endorsed or administered by Facebook or Twitter.